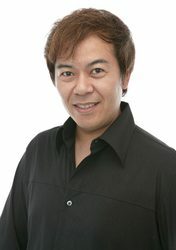 Nobutoshi Canna is a veteran seiyuu (voice actor) and singer from Tokyo, affiliated with Aoni Production. One of the more prominent anime seiyuu from the 90's, he continues to voice notable characters to this day. Canna's roles include many well-known characters from popular and classic anime series, including Lancer in Fate/Stay Night and Unlimited Blade Works, Kabuto Yakushi in Naruto, Guts in Berserk (1997), Masato Inohara in Little Busters!, Tasuki in Fushigi Yuugi, Ban Mido in GetBackers, Nnoitra Gilga in Bleach, Basara Nekki in Macross 7, and more. Canna's voice can also be heard in many video games, including Knuckles in Sonic, Maxi in Soulcalibur, Jean Lee in Dead or Alive Dimensions, Cao Pi in Dynasty Warriors, Thouzer in Fist of the North Star: Ken's Rage, and Takaya Sakaki in Persona 3. In addition, he continues to voice his anime characters featured in video games, such as Kabuto Yakushi in Naruto series of games.